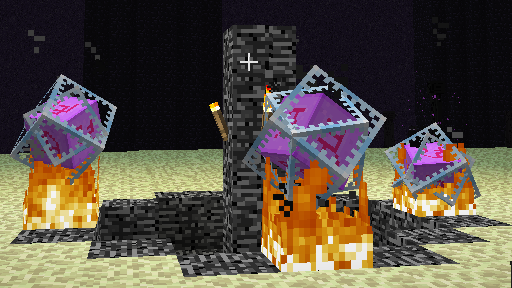 Update: We’ve released a ‘b’ snapshot making End Crystals, End Rods and Tipped Arrows properly obtainable in Survival. In addition, it fixes numerous bugs and some crashes. We’ve come a long way, but we’re finally approaching The End of the 1.9 snapshot series and are starting to work closer towards a full release. We’ve now got almost all the features we wanted for 1.9 done and stable, with a few minor balancing and polishing tasks left to do. In the coming weeks we will focus more on performance, stability and bug fixing. New item: End Crystal. Currently drops from Skeletal Horses. Made the “buff bar” at the top of the screen properly respect hidden & ambient effects. Bones and bone meals are now 50% cooler. No particliar reason why, they just are. You are currently reading Minecraft snapshot 15w44b at minecraft.ologies.net.